The Beach was awarded National Winner in the 2015 Middle East Economic Digest (MEED) Quality Awards that recognize project excellence in the Gulf Coast Countries, both for Building Project of the Year and Leisure and Tourism Project of the year categories. 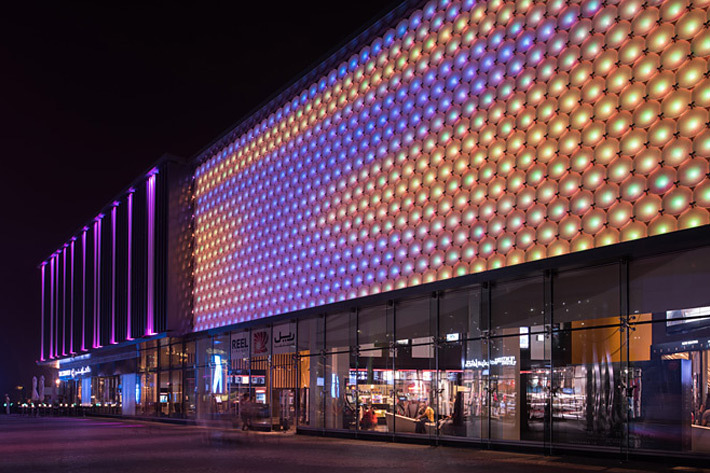 The lighting design was independently recognized by Light Middle East with awards in two categories, Best Public Lighting Project of the Year and Best Exterior Retail Project of the Year. 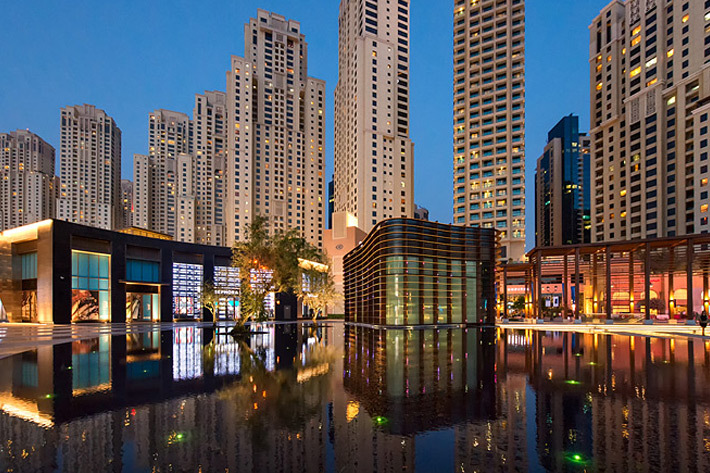 The Beach, opposite Jumeirah Beach Residences in the Dubai Marina, was once a car park and has been transformed into over 300,000 square feet of open air urban living space. The open-air venue comprised of 27 contemporary 12m high buildings within 4 distinctive plazas which feature a wide assortment of retail shops, fine dining, and entertainment facilities including outdoor activities, fitness facilities, cinemas, a water park and play area for children.